We need some downtime. For the next 78 minutes you can browse the site, but you won't be able to checkout, update your account or view your order history. If you signed in, any items in your cart are saved. See you soon. Maritime search and rescue professionals have used thermal viewers for years, now this model is affordable enough for paddlers. 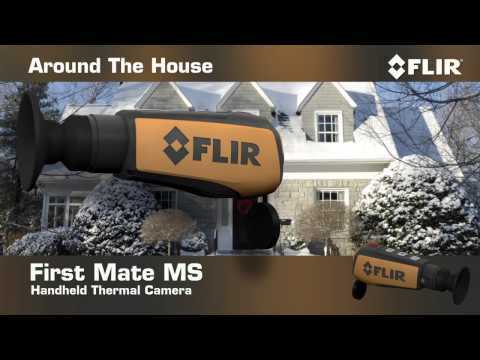 The First Mate detects the thermal energy that all objects emit, and displays it as a video image. Since it works off differences in heat, not light, things like people, campfires, and engines show up particularly well – even in daylight or fog. Use it to locate a capsized kayaker, find your way back to your campsite, pinpoint boats motoring without lights, or to assist in navigating through night or mist. Detects people at a distance of 320m, small vessels up to 895m. Display can be toggled through white hot, black hot, or marine red. Waterproof to IP 67 (submersion up to 1 metre) but not buoyant, so be sure to secure it. Field of view is 19 to 24 degrees. Internal battery is a lithium ion camera type, with a typical operating life of 5 hours per charge. Operating temperature range is -20 to 50°C. Dimensions are 17.2 × 5.9 × 6.2cm. Includes wrist strap, USB cable, product CD, and drawstring pouch.